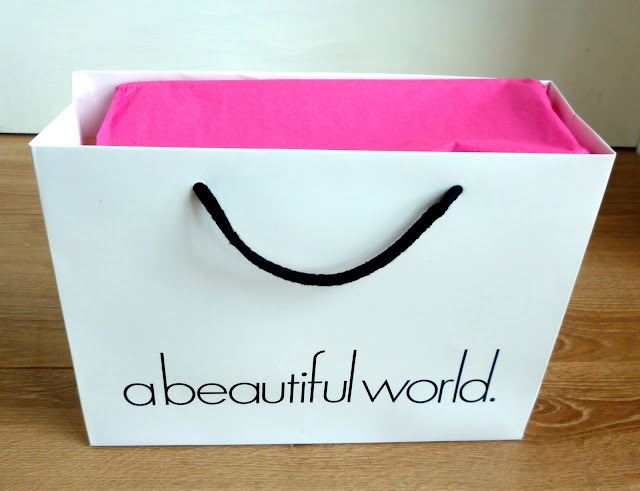 I couldn't contain my excitement this morning when the postman knocked on my door to deliver the limited edition summer sampler box from abeautifulworld. 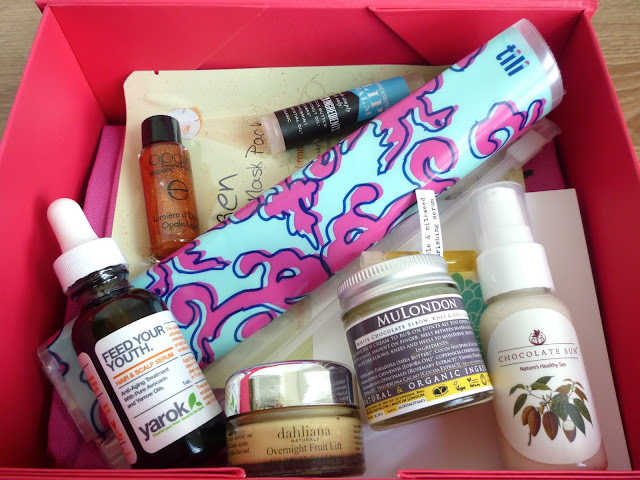 The company releases abeautifulbox twice a year containing a selection of mini, travel size and even occasionally full size versions of their best high performance natural and organic beauty products. The products were packed in this super cute bright pink box with pink tissue paper for padding. Take a look at what's inside! I'll leave the reviews 'til later and for now just give you a quick run-down of the contents. From left to right: Dahliana Overnight Fruit Lift Créme for providing deep hydration and boosting collagen production, Opale Lumiére d'Opale body oil to help eliminate dead skin cells and help extend the length of your tan, S.W. Basics Peppermint lip balm (reviewed here), Chocolate Sun natural tanning lotion, Marble & Milkweed Nourishing Serum sample (reviewed here), MuLondon White Chocolate Elbow, Knee and Heel Cream (reviewed here) (this actually smells like chocolate too! 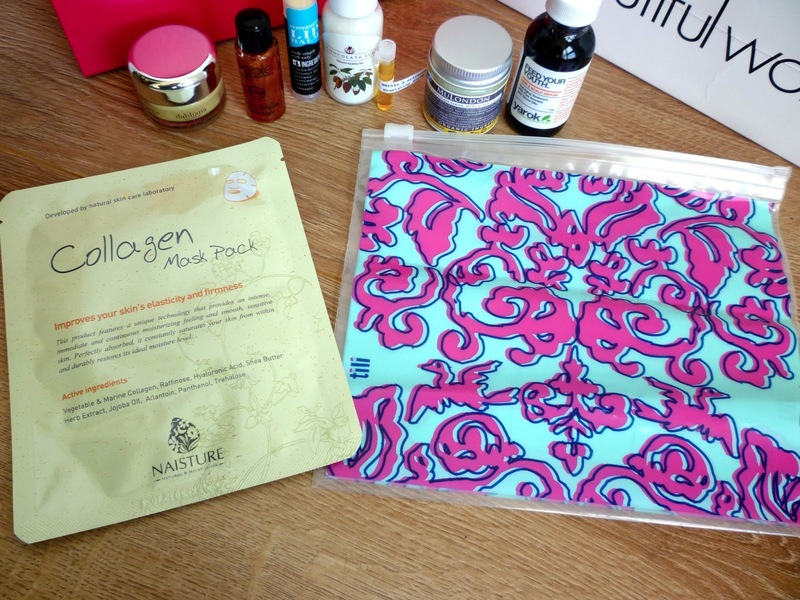 ), Yarok Feed Your Youth Hair Oil (reviewed here), Naisture Collagen Paper Face Mask Pack, a cute zip lock tili bag and a pink abeautifulworld tote bag. Phew, that was a long list! 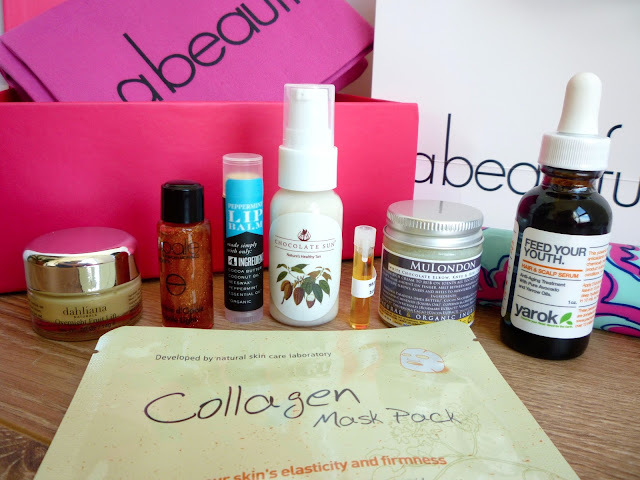 I can't wait to try everything and let you know what I think! The total worth of this box is a mighty £78.00 but they were being sold at £20.00 (mega bargain!). As these boxes are limited edition, they've actually sold out now but keep an eye out for the Autumn/Winter sampler box which is out in October. If you're interested, you can subscribe to their waitlist here to be the first to know when the next box is available! This looks like a great box! Shame they are sold out! Will sign for the autumn/winter one! Ooh, that sounds lovely. I would love to get a package like that! Wow this box looks amazing! Looking forward to the reviews. This looks amazing! I was subscribed to glossybox for about a year but cancelled my subscription because all I was really getting was samples..didnt really make sense to spend £120 a year on them, but this box looks like it's worth it! Looks like some awesome goodies! I followed you with GFC and Blog Lovin. Hope you can follow back! Omg wow this looks amazing! I have never heard of this before but I will check it out. You have a new follower btw.